1. 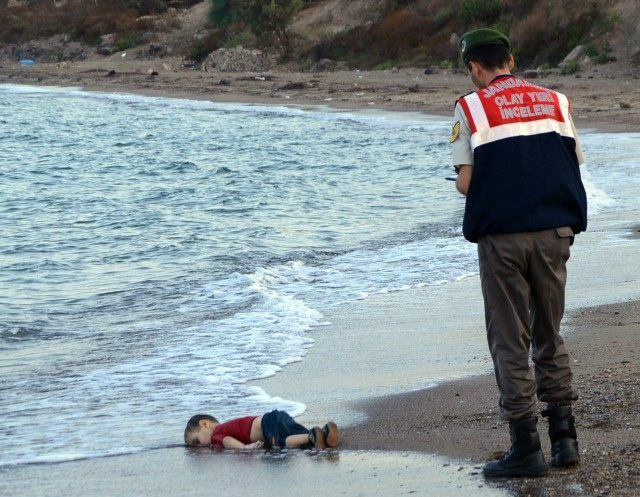 What’s the truth behind the story of the drowned boy Aylan Kurdi? There’s just so much that doesn’t add up. Starting with the fact that the boy’s name is actually Alan Shenu. His father Abdullah claims he and his family were fleeing the fighting in his ‘home town’ Kobani. Yet according to the Guardian they have been living in Turkey for three years – long before the fighting in Kobani started or indeed ISIS really existed – and before that in Damascus. In Turkey, their rent appears to have been paid for by a sister in Canada and they had over $4,400 in cash so they were in no immediate danger. Abdullah’s accounts of his motives, of his intentions and what actually happened are wildly inconsistent. In some versions he was heading for Sweden. In others he was off to Canada (which had already once denied his asylum application), where his sister said he intended to have his teeth fixed. As for what he tells us about the tragic boat journey in which his wife and children drowned: was he even with them when it happened? 2. Who invented the story about the torture and the teeth? Tima Kurdi’s unhelpful revelation that her brother had risked his family’s life to “get his damaged teeth fixed” did not sit well with the media narrative that the Kurdis were tragic victims of the Syrian conflict. When people began pointing this out on social media, it threatened to undermine the power “photo that changed the world” story. But then, astonishingly quickly, a handy explanation emerged: the people pouring scorn on Kurdi’s story were “right wing extremists”; the reason Kurdi had lost his teeth was that he had been tortured by the Assad regime and had them all removed. The meme – for that’s what it quickly became as people began reposting it on social media – appears to have originated with this Syrian blogger Kenan Rahmani. So if the world wants to no more Aylans on the beach, someone needs to do some combination of the following based on above: (1) stop torture and arbitrary detention by the Assad regime, (2) stop the regime’s aerial bombardment, (3) stop ISIS, (4) make traveling to Europe safe, (5) get Canada and the USA to accept more refugees. Do we believe this? Any of it? (I fell for it myself briefly. Before I started asking questions like: “OK. So Kurdi had his teeth pulled under torture by Assad’s people. Wouldn’t this have been one of the first bits of information he gave to all the reporters who crowded round him hungry for tear-jerking autobiographical details? How come we only got to discover this back story from some random blogger in Damascus? 3. Why this dead boy in particular and why now? Yes, it was a moving photograph. Not least because, as has since become clear, the photograph was carefully stage managed (see the comments section here for further details). Drowned bodies do not have their hair flattened against their head, clothes which aren’t disarrayed, or legs and arms lying straight. It also remains a mystery why, if it has been floating in the sea for hours, the boy’s body is so pink. So, yes, a moving picture. (Though surely a great deal more dishonest and contrived than, say, the photograph of the naked little girl who has been struck by napalm running down a road in Vietnam). But over the last five or ten years, hundreds of dead children will have been washed up on the shores of the Mediterranean from Lesbos to Lampedusa – all largely ignored by the media. What I think we’d all like to know is: why this boy, why now? What was it that prompted the world’s editors to make this particular photograph their big story? Who started it? And what – given that they must have been aware of the effects it would have, over and above selling more newspapers – was their motivation? 4. What does a “moral duty” look like when it’s at home? David Cameron has just bumped up the number of Syrian refugees Britain is going to accept from 4,000 to 20,000. Many other European countries are being bullied by Germany into doing likewise. The media narrative – promulgated by organisations like the BBC and the talking heads it chooses to sound off on this issue – is that this is no more than our “moral duty”. But it has been many decades since any EU nation bore any responsibility for what’s going on in Syria. Indeed, it’s one of the very few places in the Middle East where, conspicuously, nay miraculously, we haven’t intervened. Is the rule, now, that we have to feel bad not just about the countries (Libya, Iraq, Afghanistan, etc) where our meddling has made things worse – but also that we should feel personally responsible for those countries (Syria, etc) where we have made no difference? And if this “moral duty” to save refugees extends to the whole world how come it didn’t apply when in Rwanda, Burundi and the Democratic Republic of Congo when babies were having their heads bashed against trees and pregnant mothers were being eviscerated with machetes? Or is that black people are just too much trouble? 5. Where is the Ummah? Douglas Murray makes this point so brilliantly I’ll leave it to him. Short version: if the Muslim world is one big protective family, then how come large swathes of the Muslim world are doing absolutely zilch to house the displaced peoples of mostly-Muslim Syria. Well Iran and Qatar, the UAE, Saudi Arabia and Turkey and almost every other Muslim country in the Middle East have been involving themselves in the Syrian civil war for four years now. Many have sent fully-equipped armies of their own to fight intra-Islamic rivalries in the homeland of the Syrian peoples. And yet it is Europeans who are falling for the idea that because of this, it is our responsibility – not theirs – to pay for the mess they have created. Well it seems to me that at the very least we should ask these countries ‘Where is your “Ummah” now?’ Sure, Jordan and Lebanon are grudgingly having to cope with plenty of refugees from Syria. But not one of the Gulf States – not one – has a resettlement programme for a single Syrian refugee. But one thing I think we can all take away is that the ‘Ummah’ is a croc[k]. There’s no such thing. It’s just a trick to beat Americans and Brits and Israelis with as and when it suits.